Miss Pelicano: I just can't get enough! After two weeks away we got home to my clematis in bloom! I didn't think it would blossom as it's always blossomed much earlier, in late June, beginning of July. It's a Ville-de-Lyon variety with a rich deep pink colour and it adds lots of colour to our balcony. 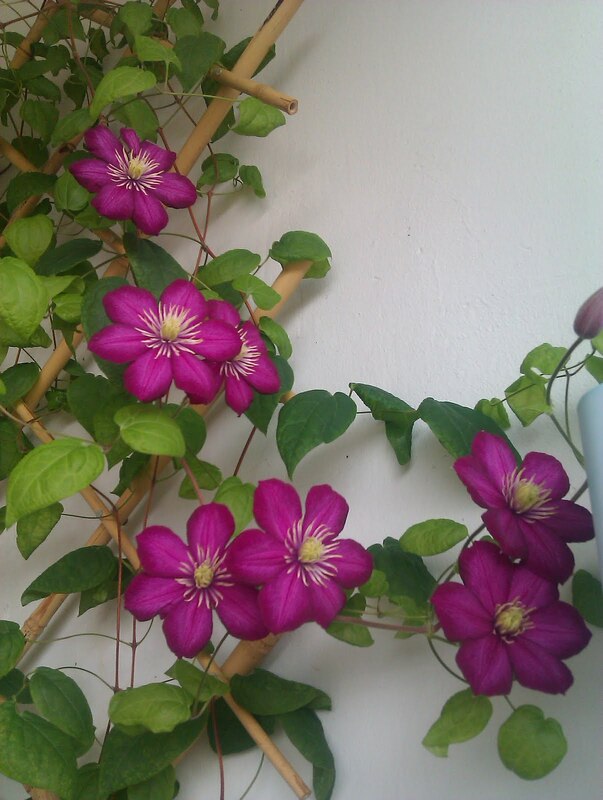 The clematis loves the hot sunny balcony! This year I wanted to train it to climb above the balcony door which leads into the living-room. And it's worked so beautifully that when we're sitting on the sofa we can see the flowers just over us! And It makes me so happy I can't stop looking at it! I just can't get enough of it! And now that I've finished my studies and got my Bachelor of Arts in Education I'll have more time for the other things I like doing. So when Autumn, and then Winter settle in here in Sweden and the balcony goes into a long hibernation I'll be going back to lots of sewing, which was what this blog was originally about! By the way, the cucumber was delicious! Sweet and really tasty! But that's a bit difficult to show you here! Congratulations on receiving your degree Barbara! You must be very happy to be finished with school. 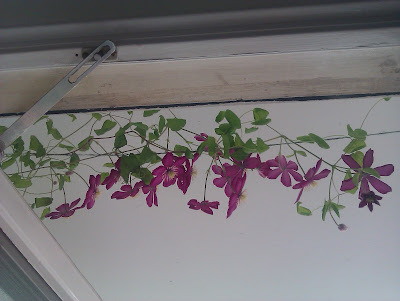 I love how you trained the clematis over the door, it is very sweet. Clematis is one of my favorite plants too. 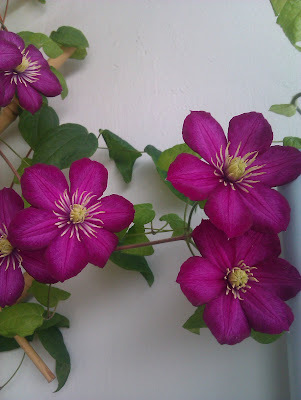 We have an evergreen clematis growing at our neighbor's which blooms at the end of winter/beginning or spring and I love looking at it through our windows. 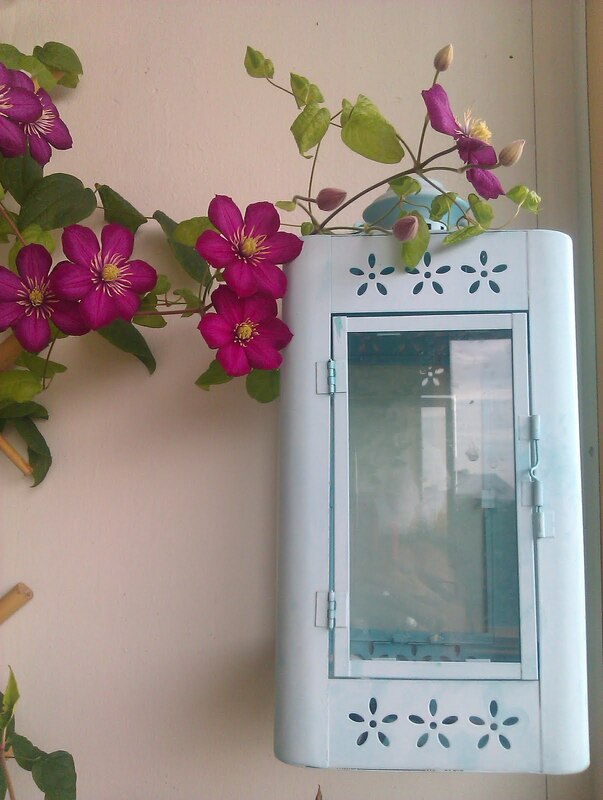 This is such a pretty clematis, and it goes really well with the white of your porch! it's so beautiful! and congrats for your degree! 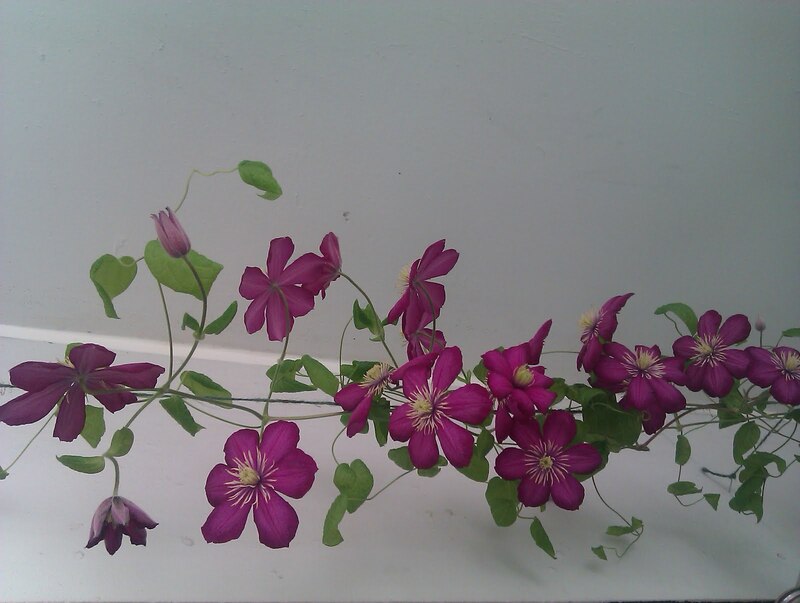 What a beautiful clematis! I love how it has draped itself around your balcony!